History and Social Science 1. American History. Blanche Whitmore’s yearbook entry, 1914. 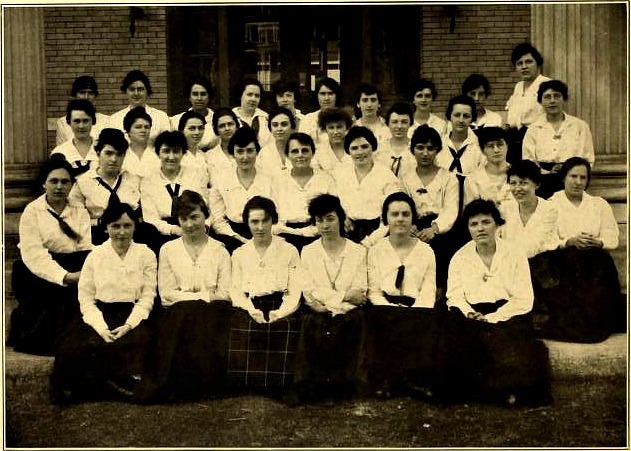 The class of 1914 was given a lovely class song by graduating student Blanche Whitmore and though the song was only written for that years class, one can find some recurring themes and feelings that would certainly apply to past and future students. Toward the heights of truth. Besides academics, there was a wealth of fun things to get involved in at the Normal School. The most popular extracurricular activities were largely centered around sports or the performing arts, with the Basketball team and Glee Club being the most prominent. Members of the Glee Club in 1917. This has been a prosperous year for the Glee Club. Never before have the members numbered thirty-six. Promptly (?) at one o’clock every Tuesday and Thursday we began our preliminary exercises in the assembly hall, warbling up and down the scale by “lo” and sometimes syllables. During all these rehearsals we were effectively guarded by several people who sat at the back of the toom and who shook their heads vigorously at all intruders. After the preliminary exercises, we were ready to begin real singing. Indeed, this year, in addition to the singing, we have ourselves the opportunity of displaying a small amount of dramatic talent, by choosing an operetta as a new feature for the Glee Club Concert. We do not forget, however, that this meant more hard work and patience on the part of Miss Searle. For this and all other service which she has kindly given to us, we bestow our greatest thanks and appreciation. 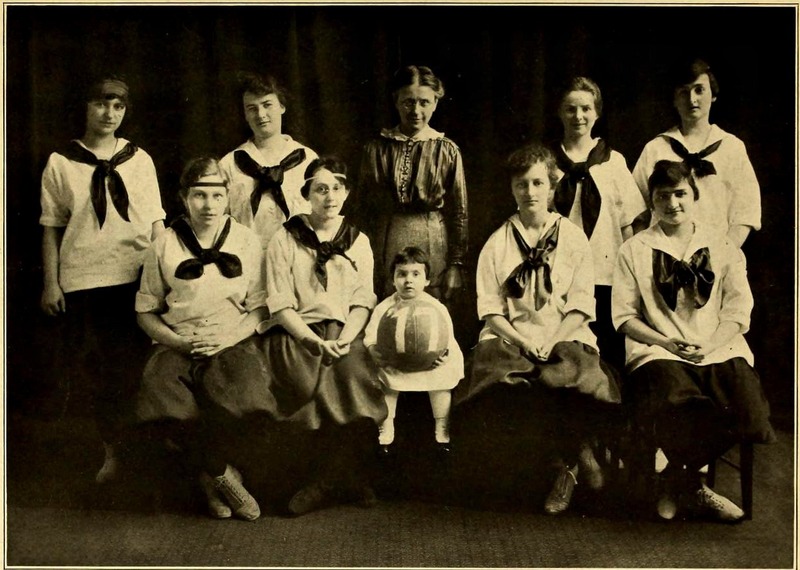 The Basketball Team Captains of 1917. 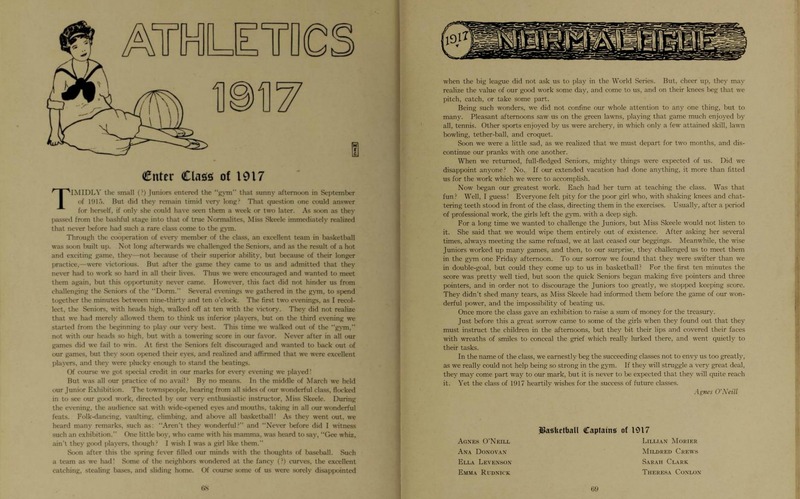 Click to read Agnes’s full account of the 1917 team. In the name of the class, we earnestly beg the succeeding classes not to envy us too greatly, as we really could not help being so strong in the gym. If they will struggle a very great deal, they may come part way to our mark, but it is never to be expected that they will quite reach it. Yet the class of 1917 heartily wishes for the success of future classes. 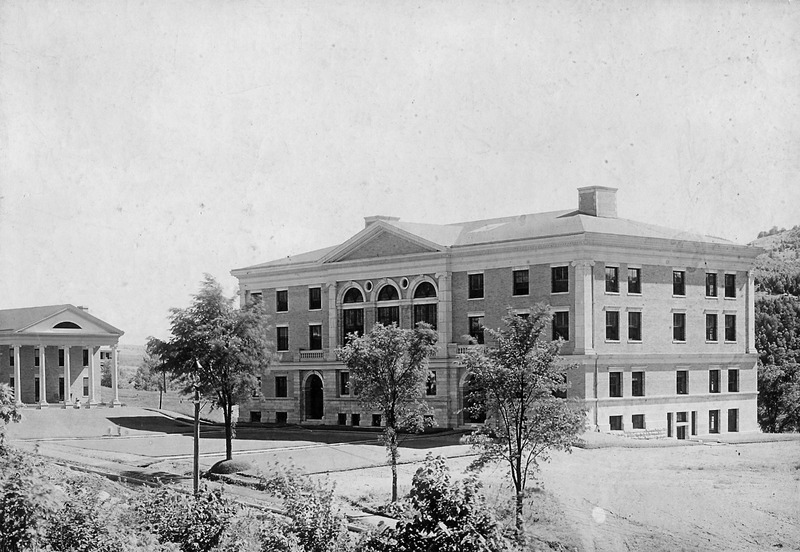 North Adams Normal School, c. 1915. 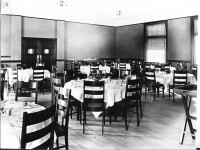 The Dining Room, c. 1903. 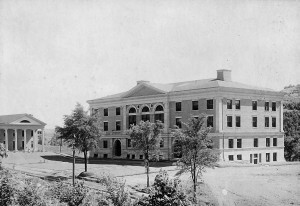 The Mark Hopkins Training School, c. 1915. 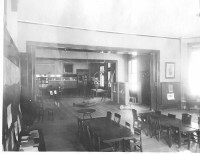 Inside the Mark Hopkins Training School, c. 1905. Normal School Students and Faculty on a Class Trip, c. 1915. Faculty and Students, c. 1915. Normal School Students Working in the School Garden c. 1914. 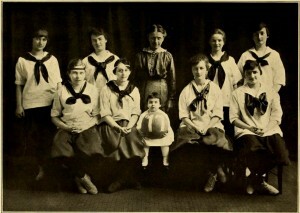 The Basketball Team, c. 1915. 1. 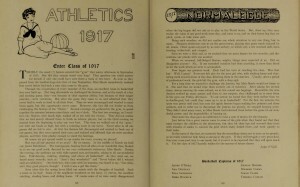 North Adams Normal School Course Catalog, 1915. Massachusetts College of Liberal Arts Freel Library Special Collections. 4. Blanche Whitmore, “Alma Mater,” The Normalogue, 1914. 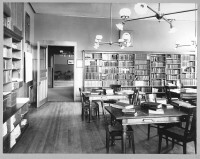 Massahusetts College of Liberal Arts Freel Libary Special Collections. 5.Lyle B. Chandler, “Glee Club,” The Normalogue, 1917. Massachusetts College of Liberal Arts Freel Library Special Collections. 6. Agnes O’Neill, “Athletics,” The Normalogue, 1917. Massachusetts College of Liberal Arts Freel Library Special Collections.